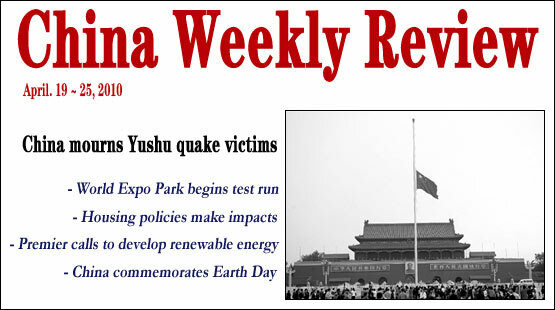 China´s health authorities have stepped up measures in preventing epidemics in northwest China´s Qinghai Province where at least 2,192 people died since the April 14 quake, the provincial government said Sunday. A high-speed rail line linking Fuzhou and Xiamen in east China´s Fujian Province went into operation Monday, as the part of Shenzhen-Shanghai high-speed railway. Signing the cross-Strait economic and trade pact, ECFA, will benefit Taiwan, Taiwan leader Ma Ying-jeou said here Sunday in a television debate. Two Chinese hostages who have been held by Afghan militants for over three months were released Saturday, the Chinese embassy said here Sunday. 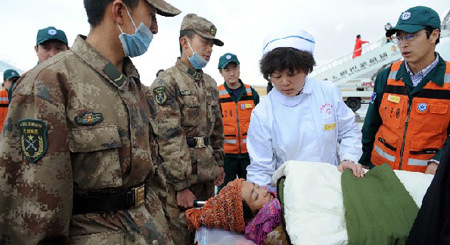 Hundreds of rescuers heading for quake-hit Yushu are stranded at Xining airport of northwest China´s Qinghai Province due to heavy snow in Yushu and a sandstorm in Xining, the provincial capital. China´s CPI rises 2.7% in Feb.
Give your wishes for the new year of the tiger. What show do you like best at the 2010 CCTV Spring Festival Gala?